By the time he returns home to Ralph, Texas, Norwood has met his true love, Rita Lee, on a Trailways bus; befriended Edmund B. Ratner, the second shortest midget in show business and "the world's smallest perfect fat man"; and helped Joann, "the chicken with a college education", to realize her true potential in life. As with all of Portis' fiction, the tone is cool, sympathetic, funny, and undeniably American. 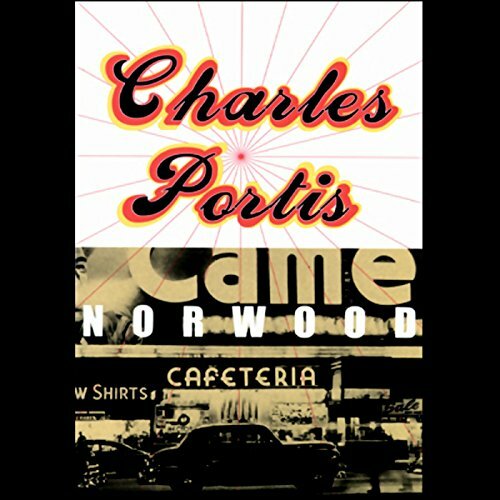 While not for all tastes, "Norwood" is Charles Portis' first novel and one that displays the author's fondness for wry observational humor and quirky characters. Norwood Pratt accepts a job to drive a car cross-country for a shady businessman, all in the hopes of collecting $70 from a friend in New York City. The real joy of this tale lies in watching Norwood's interactions with the strange, colorful people that he meets along the way, and how the hero's unwavering simple worldview gets him into and out of trouble. My favorite encounter? It's a toss-up between the flying sausage patty aimed at Bill Bird and the bus ride of Joanne the Wonder Hen. This is a story where the details are much more rewarding than the plot itself. Narrator Barrett Whitener does a great job bringing the book and its characters to Tex-Arkana life, and the audiobook was perfect to listen to on a recent road trip of my own. This book is brilliant on so many levels and no doubt gets better and funnier with subsequent listens. Characters are simultaneously bizarre and humdrum, yet so real. The dialogue is rich and flawless and the narrator was perfect. While the book’s plot is shallow – there aren’t many twists and turns or high adventure – there is tremendous depth just under the surface. Having said all that, I prefer non-fiction so I probably won’t listen to this one again.